Take a look at the above: Both product lines are within the Clorox family of products – one is branded Clorox and the other is branded Green Works. Although the image of Green Works does not show it, Green Works also offers disinfectant wipes and detergent. Essentially, the Green Works line has the same product types as the Clorox line. This is an example of both price discrimination and line segmentation. Below I will walk through both price discrimination and line segmentation in action so that you can learn and hopefully develop creative ways to utilize the same strategies in your small business marketing strategy. Each of the compares in the above is an apples to apples analysis – same oz., similar product. And as you can see, Clorox clearly marks up the price of its Green Works line vs. its generic brand. Why is this? There is a different value proposition behind the Green Works line – it is natural, and because of this, they believe that natural-seeking consumers are willing to pay the premium for better-for-you products. Through the Green Works line, Clorox reaches a new set of consumers and potentially cannibalizes its own sales on its existing Clorox brand. However, this cannibalization is positive cannibalization since the consumers are pricing up to a more expensive line. 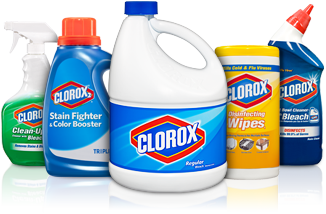 Clorox manages its cleaning products portfolio by segmenting the market into mainstream and natural and leveraging different brands, that are relevant to each market, within each market. This benefit of creating two distinct brands is that Clorox has the ability to develop two distinct and targeted marketing plans. It would be difficult for Clorox to develop a marketing plan to natural consumers without impacting its brand positioning within the mainstream channel (which is Clorox’ bread and butter). Likewise, it would be difficult for Clorox to maintain its brand positioning in mainstream while also trying to effectively market to natural consumers. There are also financial reasons for such a segmentation: For example, since the Green Works line is premium priced, the financials behind a couponing or promotional campaign will look differently than that of the mainstream Clorox line. As a small business owner developing a marketing strategy, if you find a new need within your market that you would like to market against to generate incremental sales, consider a price discrimination and line segmentation strategy if the new need is a different type of consumers. By following this rule, you will be sure to not impact your existing brand, products, or sales while taking advantage and capturing the new market opportunity. This rule implies for both product, retail, or service driven companies.